Overrated and underwhelming. That has been my verdict, for the past five years, of a Montréal landmark which overseas visitors are always eager to see. The attraction in question is not the Old Port, the Plateau or even Mont Royal. 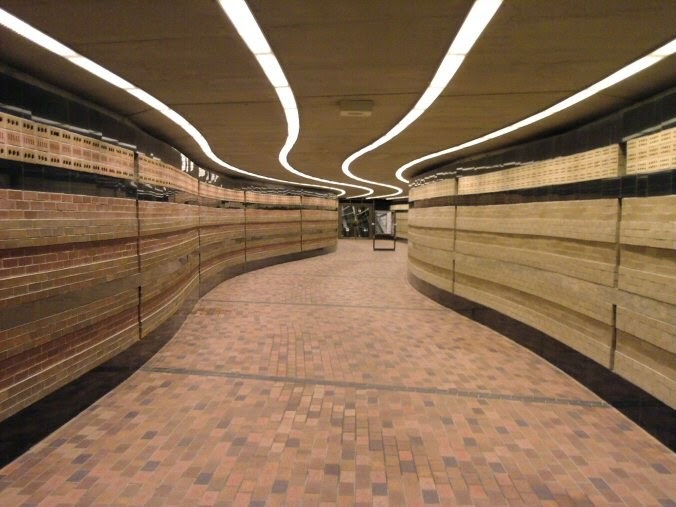 The interest is in Montréal Souterrain, the network of underground tunnels and passages that links many buildings in the city's core, and connects to various subway stations to reach even further. I'd inevitably tell my visitors to lower their expectations - pun intended. Yes, there were a few below-ground walkways here and there, stuffed with second-rate shops and food outlets. But I was always unimpressed by the network's utility, never mind value as a tourist attraction. So when our offices moved to a new building connected to the réseau souterrain, I barely paid any attention. I should have. On a lunchtime outing a few days ago, I had just arrived at the grocery store a few blocks down from the office and was busy unwrapping the layers protecting me from the -20C cold outside, when a co-worker emerged from the snacks aisle. To my surprise, she was wearing office slippers and a casual cardigan, attire clearly unsuitable to keep her Mexican body comfortable outside. Turns out she had not been in the open at all. Instead, she had made use of the underground network to come all the way from our office to the store. I was fascinated as she guided me back the way she came, along a convoluted succession of over- and underpasses, up and down 8 flights of stairs, through revolving doors and up elevators... to reemerge by my desk. A closer look at the underground map was in order, and it became apparent from it that there were a series of connecting passages of which I had not been aware - and which connect multiple sections of the grid into one continuous network, thereby greatly improving utility. Today at lunchtime, your urban boyscout set off in the opposite direction, looking smug in his dress shirt and loafers while the colleagues in the elevator were bundling up to face the elements outside. And sure enough, I found yet another passage (counter-intuitively leading up above ground level and through an encased alley) connecting my office to a neighboring section, from there down again, up through the exhibition center and across to the main train station, my destination for today. I had not been doing the Montréal underground movement justice, then. With the newly-found links, I have dry-foot access to six metro stations on two lines, various malls, food courts... and even the two YMCAs I regularly use. It may not be the most direct way of getting there, but on arctic winter days like today, the indoor walk is the perfect warm-up!